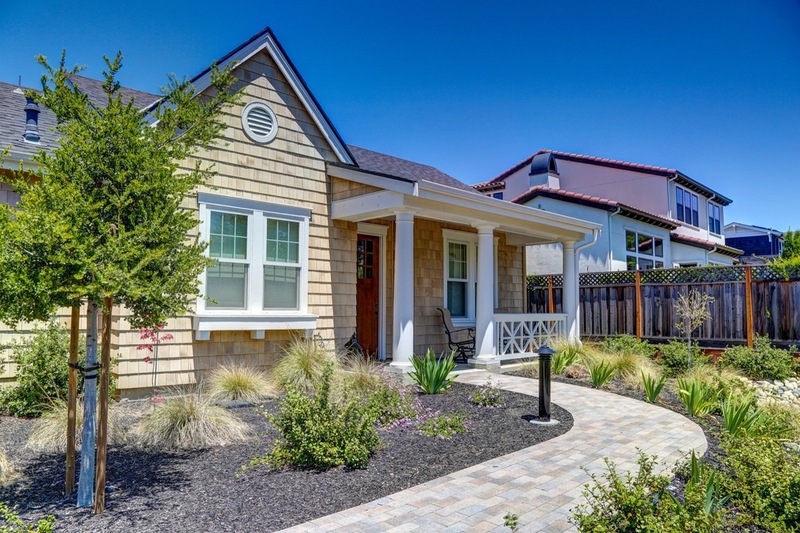 Located in the heart of Larkspur’s historic downtown, 12 Camellia Circle is a two bedroom, two bathroom single level home in a very active 55+ community. The charming home sits at the end of a beautifully landscaped, well-lit pathway in this peaceful two-year old development. Directly facing a gorgeous section of open space and the Larkspur Creek, 12 Camellia is on one block to Larkspurs’ vibrant downtown and its boutiques, restaurants and cafes. It’s hard not to fall in love with the lifestyle this home provides. Walking up the path to the front of the home you are greeted by a spacious, covered front porch perfect for enjoying morning coffee while listening to local birds chirping and the babbling Larkspur Creek. Through the front door you find yourself in the main open living space with a comfortable living room to your right, a dining room fit for 6-8 people to your left and an open kitchen with a large kitchen island. The home features high-end finishes throughout, an open floorplan, stainless steel Bosch appliances, central heating & A/C, remote-controlled window shades, laundry in-unit, and a spacious two-car garage with ample storage space. 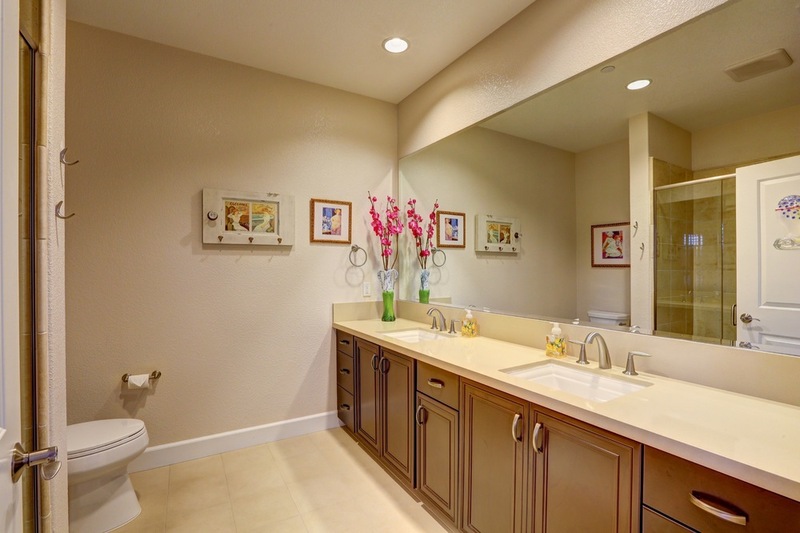 The spacious, bright master suite comfortably fits a king bed and the beautiful master bath has dual sinks and an over-sized, glass walk-in/wheelchair accessible shower. The second bedroom is the perfect size for a guest bed or office. Stylish, quiet and immaculate, you can immediately make this house your home with all of its amenities. The community offers Bocce Ball, outdoor barbecues and fire pits for entertaining, and ample guest parking. Steps to the Lark Theater, Café Emporio Rulli, Mt. Tam Racquet Club, Perry’s on Magnolia and historic parks and trails, this gorgeous newer home is in the best location Larkspur has to offer.